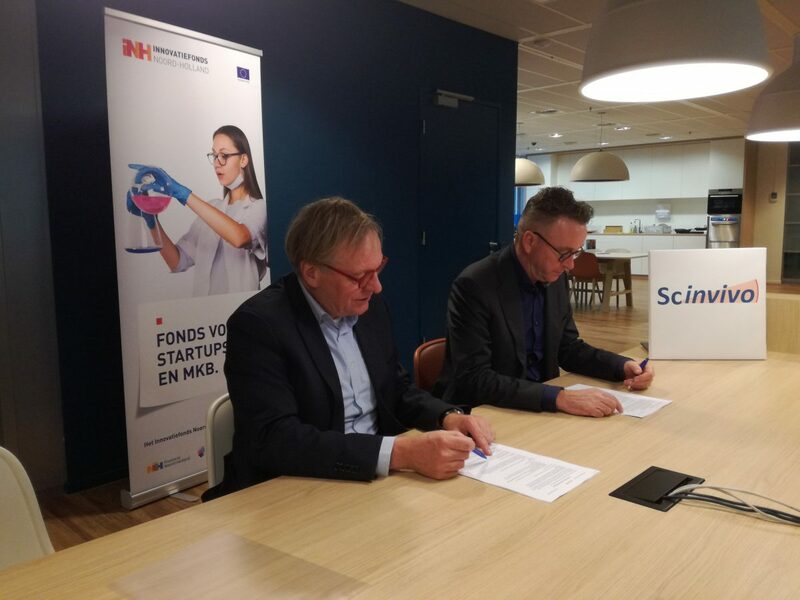 Scinvivo an Amsterdam based MedTech startup, received a loan of 300.000 euro from the Innovatiefonds Noord-Holland. Scinvivo will use the money to realize an innovation on improving bladder cancer diagnosis. According to Scinvivo, current diagnosis can be improved by new imaging techniques. Scinvivo develops a catheter which can look inside bladder tissue, so the doctor can see what is going on inside the bladder wall. The catheter uses OCT (optical coherence tomography) to make real time cross-sectional images of the tissue. In this way the urologist can, during surgery, see what is happening inside the bladder wall, allowing for a better diagnosis. Wouter Keij, managing director of Innovatiefonds Noord-Holland: “The innovation of Scinvivo may be an important addition to the urology practice and will be an improvement to diagnose different types of cancer. Our financing will hopefully lead to continued financing by other parties to bring this innnovation to market. This is the first loan of the Innovatiefonds Noord-Holland, which was launched last summer”.